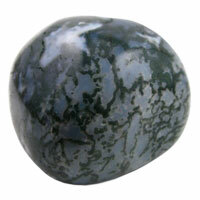 A great healer, Moss Agate boosts the immune system helping to treat infections, colds, fevers and the flu. It is an anti-inflammatory and can be used to cleanse the circulatory and elimination systems. It helps to lift ones self-esteem, releasing stress and fears, bringing optimism to life. It is very helpful in depression bringing hope and a sense of new beginnings. It can help one to be less sensitive to environmental pollutants, as it brings one closer to nature. When looking into the translucent parts of the stone you are able to see the green moss within it. 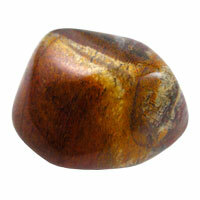 Being a stone of abundance, and a healing stone, this is a must to carry in your pocket! This is a deep golden quartz stone, with a unique energy which moves through the body in spiraling movement as it goes wherever it is needed to bring healing to the body on all levels including the cellular memory. Because of it’s amazing healing abilities and the way it energizes the body through it’s connection with source energy, it is believed to hold the energy of Christ consciousness. When worn at the Solar Plexus, it can be used to bring integrity to the ego, helping one to let go of emotional judgements. For those who wish to communicate with ancestors, spirit guides, angels or other enlightened beings, Golden Healer Quartz is very helpful, when used during meditation. 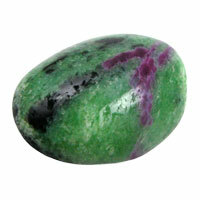 Ruby in Zoisite is an emerald green stone with black specks and drops of pink ruby throughout. It helps one to maintain their individuality while feeling connected to the whole of humanity. It can be helpful in soul healing and past life work. It activates the crown chakra and increases ones awareness of spiritual energy, enhancing their psychic abilities. It can also help to heal the heart, increase ones physical vitality and amplify their energy field. It is also used to detoxify the body. Because it works well with the mind, heart, physical body, and spiritual energy, it can truly help one to reach their full potential. This stone holds within the alchemical energy of life, death and rebirth. It radiates beautiful blues, greens, purples and golds filling the aura with the ability to assimilate the surrounding energies, making them harmless Use this stone when working to let go of old stuff as you transform into a new you. 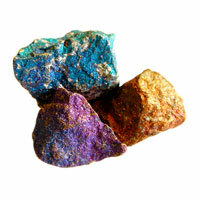 Peacock Ore will support you as you move through your ever changing life, helping you to go with the flow. This brilliant stone specimen can be used on all Chakra centres, will clear the mind, and lift emotional and spiritual energy. 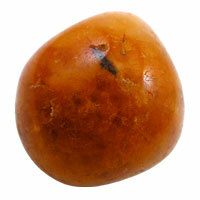 Carrying this stone in your pocket, or having it near you when you sleep is very beneficial. Swirling browns, oranges and golds are seen throughout this simple stone, which holds within so much more than simple energy. “Unity in diversity” bests describes the gift this stone offers one. It helps one to feel contented and happy in life, promoting a feeling of wellbeing. It also helps one to accept their vices, enabling them to make the changes necessary. This contentment moves beyond the self to others, helping all to get along peacefully and compassionately with carefree fun and good humour. At this time, this stone is of great benefit. We can all use a little happiness in our life. © Copyright 2005-2011. All rights reserved.